Who invented the Color Wheel? The name of the person credited with inventing the Color Wheel is Sir Isaac Newton (1642 - 1726). Sir Isaac Newton is not only famous as the English inventor of the Color Wheel but also as a physicist, mathematician, philosopher and theorist. When was the Color Wheel invented? Sir Isaac Newton invented the Color Wheel in 1666, during the Renaissance period of inventions (1350 to 1700). Definition of the Color Wheel: The Color Wheel is defined as a chart in which complementary colors (or their names) are arranged on opposite sides of a circle showing the relationship between colors. Fact 1: Who invented the Color Wheel? The Color Wheel was invented by Sir Isaac Newton in 1666 during the Renaissance era of inventions. Fact 2: Who invented the Color Wheel? Prior to the invention of the Color Wheel in 1666, there was a lack of standard in colors and it was the common belief that colors were a result of the blend of light and dark. Fact 3: Who invented the Color Wheel? Sir Isaac Newton is best known for his theories on motion, gravity and calculus but he also invented the color wheel. Sir Isaac Newton was born on 25 December 1642 in Woolsthorpe, Lincolnshire, England, UK and died on 20 March 1726. Fact 4: Who invented the Color Wheel? The early years of Sir Isaac Newton were spent in Woolsthorpe, Lincolnshire, England, UK where he was raised by his family. Sir Isaac Newton was educated at Trinity College, Cambridge and he received his bachelor's of arts degree in 1665. Fact 5: Who invented the Color Wheel? Isaac Newton returned to his home in Lincolnshire and began to conduct experiments on a whole range of ideas. He was a genius and his massive ego led to his belief that the only way to gain truth and knowledge was by making his own observations rather than by reading books. Fact 6: Who invented the Color Wheel? He began to develop his ideas on motion, gravity and calculus in his laboratory, dabbled in alchemy and continued to question accepted theories of the day, especially in relation to light and color. Fact 7: Who invented the Color Wheel? The invention of the Color Wheel was a result of Isaac Newton questioning the work and theories of other intellectuals. He did not believe the accepted theory that colors were a result of the blend of light and dark and and that prisms colored light. He was determined to prove the theory wrong. Fact 8: Who invented the Color Wheel? Isaac Newton set up an experiment by placing a prism in front of a thin beam of light, and created a rainbow of colors. demonstrating that white light is composed of many colors. His ’celebrated phenomenon of colors’ demonstrated that white light is composed of many colors and that light alone was responsible for color. Fact 9: Who invented the Color Wheel? To illustrate his findings, Isaac Newton created a color wheel which contained the seven colors in the rainbow that consisted of red, orange, yellow, green, blue, indigo and violet. When the colors merge together, they appear white. Fact 10: Who invented the Color Wheel? Isaac used the 'Newton disc' to demonstrate his experiment by rotating a disc with segments in Newton's primary colors of red, orange, yellow, green, blue, indigo, and violet that appeared as white when the disc was spun extremely fast. Fact 11: Who invented the Color Wheel? The famous physics experiment demonstrated that when Newton disc was rotated, the colors blurred together and the eye, unable to respond rapidly enough, saw the colors mixed together to form white. Fact 12: Who invented the Color Wheel? Newton's color wheel provided an arrangement of colors around the circumference of a circle. The color wheel was an extremely useful for artists and painters allowing primary colors of red, yellow and blue) to be arranged opposite their complementary colors (e.g. red opposite green). Fact 13: Who invented the Color Wheel? Use of the color wheel provided a way to denote that each of the complementary colors would enhance the other’s effect through optical contrast. Fact 14: Who invented the Color Wheel? In Newton's Color Wheel colors are arranged clockwise in the order they appear in the rainbow. Isaac Newton thought that the colors of the rainbow were comparable in certain respects to the notes of the musical scale. Fact 15: Who invented the Color Wheel? He assigned each 'spoke' of the wheel a letter which corresponded to the notes of the musical scale (EGBDFAC). Newton devised this color-music analogy because he believed that the color violet was a kind of recurrence of the color red in the same way that musical notes recur octaves apart. Fact 16: Who invented the Color Wheel? Newton's color-music analogy proved false but his findings regarding light, prisms and colors were highly influential in the development of color wheels. Fact 17: Who invented the Color Wheel? Isaac Newton was quite secretive about his experiments and he was extremely sensitive to any criticism. When Newton presented his findings about light and colors to the Royal Society he described his experiment in an obscure way and his ideas were challenged by an eminent scientist called Robert Hooke who attacked Newton's methodology and conclusions of the Color wheel. Newton reacted with anger and hostility and the acrimony between the men continued for years. Fact 18: Who invented the Color Wheel? The arrogance, pride and volatile nature of Newton resulted in another famous feud with Gottfried Leibniz and the invention and theory of Calculus. Fact 19: Who invented the Color Wheel? In his later life Sir Isaac Newton became paranoid that both his enemies and friends were conspiring against him and in 1693 he suffered a nervous breakdown. Fact 20: Who invented the Color Wheel? He recovered from his mental collapse and went on to become Master of the Royal Mint in 1700 and became President of the Royal Society. Isaac Newton was knighted by Queen Anne on 16 April 1705 in the Master's Lodge of Trinity College, Cambridge. Fact 21: Who invented the Color Wheel? 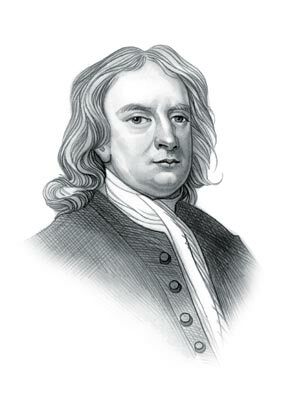 Sir Isaac Newton died on 20 March 1726 at the age of 84 and was buried in Westminster Abbey. He will remembered as one of the greatest inventors of all time and for his theories on calculus, gravity and motion and his invention of the color wheel.